My iPhone Camera Is Blurry! Here's Why & The Real Fix. You are at:Home»iPhone»Photos»My iPhone Camera Is Blurry! Here’s Why & The Real Fix. The first thing to do when your iPhone camera is blurry is to simply wipe off the lens. Most of the time, there’s a smudge on the lens and that’s causing the problem. Grab a microfiber cloth and wipe off your iPhone camera lens. Don’t try wiping off the lens with your fingers, as that could just make things worse! If you don’t already own a microfiber cloth, we highly recommend this six-pack sold by Progo on Amazon. You’ll get six excellent microfibers cloths for less than $5. One for the whole family! iPhone cases can sometimes obstruct the camera lens, making your photos appear dark and blurry. Take off your iPhone case, then try taking a picture again. While you’re at it, double-check to make sure your case isn’t on upside down! If your iPhone camera is still blurry, it’s time to discuss the possibility of a software issue. The Camera app is just like any other app — it’s susceptible to software crashes. If the app crashes, the camera could appear blurry or completely black. Closing and reopening the Camera app is sometimes enough to fix the problem. First, open the app switcher on your iPhone by double-clicking the Home button (iPhone 8 and earlier) or swiping up from the bottom to the center of the screen (iPhone X). Finally, swipe the Camera app off the top of the screen to close out of it. You’ll know the Camera app is closed when it no longer appears in the app switcher. Try opening the Camera app back up to see if the blurriness problem has been fixed! If closing the app didn’t fix the problem, try restarting your iPhone. It’s possible your iPhone camera is blurry because a different app has crashed, or because your iPhone is experiencing some sort of minor software glitch. If you have an iPhone 8 or older model iPhone, press and hold the power button until “slide to power off” appears on the display. If you have an iPhone X, press and hold the side button and either volume button until “slide to power off” appears. If restarting your iPhone didn’t work, our next step is to put your iPhone in DFU mode. If a software problem is making your iPhone camera blurry, a DFU restore will fix it. The “F” in DFU restore stands for firmware, the programming on your iPhone that controls its hardware — like the camera. Before entering DFU mode, make sure to save a backup of the information on your iPhone. When you’re ready, check out our other article to learn how to put your iPhone in DFU mode and restore! If your iPhone camera is still blurry after a DFU Restore, you’ll probably have to get the camera repaired. Something may be stuck inside the lens, such as dirt, water, or other debris. Schedule an appointment at your local Apple Store and have a Genius take a look it. If your iPhone isn’t covered by AppleCare+, or if you’d like to try and save some money, we recommend Puls. Puls is an on-demand rear company that sends a vetted technician directly to you who will fix your iPhone on-the-spot! Your iPhone camera is fixed and you can continue taking amazing photographs! 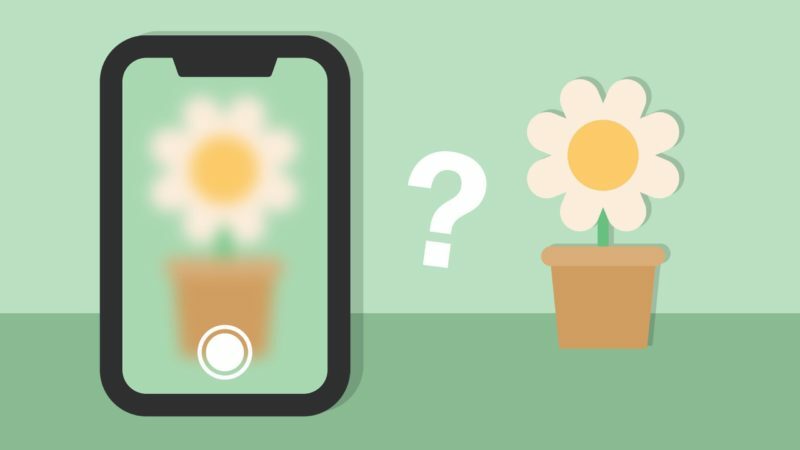 I hope you’ll share this article on social media with someone you know who would like to learn what to do when their iPhone camera is blurry. If you have any other questions you’d like to ask, leave a comment down below! Previous ArticleiPhone X Won’t Turn Off? Here’s The Real Reason Why! Next Article Can I Update Apps Automatically On iPhone? Yes! Here’s How.